It is vital that research is done on the way that the massive social change accompanying our ageing population will impact on us. NZCCSS was part of a working group established by the Ministry of Social Development in 2009 to try to better coordinate and network the researchers and their work and look at priorities for future research. Research on population ageing includes research on those who are 65 years and over and the preceding generational cohorts. It includes broader research on population dynamics, its implications for ethnic, cultural, regional, and life-course diversity, and its impact on social policy, services and New Zealand’s economy. View a presentation on this work from the 2009 Gerontology Age Concern Conference. GERaC is a group of academics and researchers based at the School of Nursing within the Faculty of Medical and Health Sciences at The University of Auckland. They provide research and consultancy services for organisations who provide care and support to older or disabled people living in the community or in institutional settings. The Massey University Health and Ageing Research Team have completed several major research studies on ageing, including the NZ Longitudinal Study on Aging (NZLSA) the Living Standards for Elders Study and the Health, Work and Retirement Study. Enhancing Wellbeing in an Ageing Society (EWAS) was a combined project of the Anglican Family Centre Lower Hutt and Waikato University concerned to improve the future wellbeing of older people. The five-year research project aimed to increase the knowledge base about what wellbeing is for older people, look at the transitions into older age, research the perspectives and experiences of older people and how this knowledge can be used. 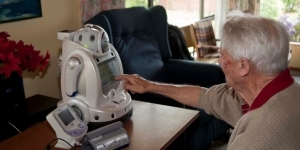 The New Zealand Institute for Research on Ageing (NZiRA) aimed to foster understanding of issues of ageing through promoting multidisciplinary research, in partnership with other interested organisations and individuals. In 2010 it was incorporated into the Institute for Governance and Policy Studies at Victoria University of Wellington. The Association of Gerontology is a multidisciplinary organisation committed to understanding ageing and promoting the interests of older people.